The Serbian breakaway region of Kosovo celebrates the tenth anniversary of its declaration of independence on Saturday. Sputnik discussed the political, economic and security situation in the splinter state, particularly as it concerns Kosovo's ethnic Serb minority, with Dr. Srdjan Sljukic, a sociology professor at Serbia's University of Novi Sad. The two-day festivities dedicated to the anniversary will be attended by representatives from the United States and the European Union, Kosovar Albanians, and visiting guests from Albania proper. But according to Dr. Sljukic, there's actually very little to celebrate in real terms, and much of it comes down to who really governs the breakaway. "It's quite obvious that it's not in a better situation than it was ten years ago," the academic said, speaking to Radio Sputnik. "Actually, it's not an independent state, but a territory governed by Western powers, above all by the United States and Germany. The situation in that territory is bad and getting worse." Part of the problem also comes down to the region's leadership, Sljukic added. "If you look at their leadership, you can find people who have been accused of war crimes, [including President] Hashim Thaci and his allies." — InSerbia News (@InSerbiaNetwork) 17 апреля 2017 г. Furthermore, the academic recalled, "if you look at the economic situation, you will see that it is getting worse. The land is idle; there are no jobs, no industry. The demographic situation is getting worse also, with people leaving; and there is no security for Serbs in Kosovo." Sputnik: What happened? Who deserves the blame for this situation? Dr. Sljukic: It's very easy to conclude that those who are in power are to blame for the situation. This is an occupied territory run by Western powers, and if there is someone to blame, it's them. As you probably know, the war – the Western aggression in 1999, was [conducted] in the name of human rights, against ethnic cleansing, and similar things. And that war was ended with what they promised to stop – with the ethnic cleansing of more than 200,000 Serbs from Kosovo. The same thing was repeated on a smaller scale in 2004. This speaks to [Kosovo's] security. 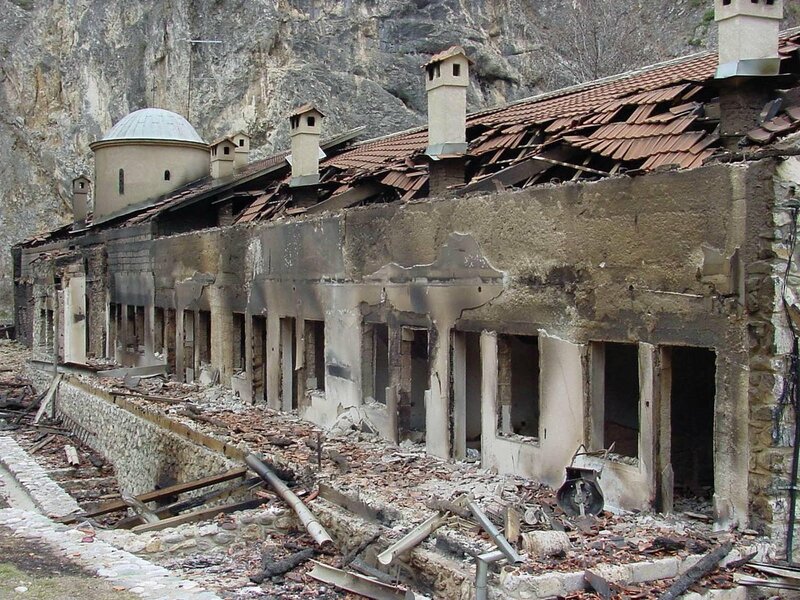 Even today, Serbs in Kosovo cannot be ensured [of their personal safety], of their property, when they go there just to visit the graves of their ancestors, to use their property, etc. If you look at the economic side, a bright future was promised, and actually [the same thing] was promised to the whole of Eastern Europe, but is not happening. But Kosovo has become a sort of black hole of Europe, with a bad economy, with criminals, etc." Sputnik: Could you elaborate on the security situation? Dr. Sljukic: [This affects in particular] the freedom of movement. If you go to Kosovo, by car or by bus, you cannot be sure what will happen to you. The local police, run by the Kosovo administration, is not capable or doesn't want to give Serbian people security which could be considered normal in other parts of Europe. I've been to Kosovo several times, the last time in October of last year. And the situation is always the same. There are just promises about giving all of the population security to live their normal lives. But nothing has been changed, despite all of these promises by the local administration, and of course by the Western powers. Sputnik: Do you feel like the Western media and media in general is ignoring this problem? Dr. Sljukic: Yes, I can easily agree with you. It is not in their interest to show the situation in Kosovo like it is in reality, because it would be easy to conclude that they will be the ones to blame, the governments to blame…So they are keeping this problem in darkness and turning a blind eye. Sputnik: What are the chances of normalization taking place between Pristina and Belgrade? Dr. Sljukic: It depends whose interests you follow, and from which side you are looking at this problem. At the present, the situation is as follows: the Albanians and the Western powers are in a hurry, trying to press the Serbian government to recognize Kosovo as an independent state, and to call this 'normalization', or some other term which does not change the essence, which is the diplomatic recognition of Kosovo. Why are they in a hurry? Because the situation in the world is changing. This is not 1999; something that happened in 1999 cannot happen again. The West remains is the strongest, but it is not as strong as it was 20 years ago. Russia, China, and other countries are also now very strong, and the situation is changing – the power is shifting sides, so to speak. And that's why we have such strong pressure on Serbian government to recognize Kosovo as an independent state. The views and opinions expressed by Dr. Srdjan Sljukic are those of the observer and do not necessarily reflect those of Sputnik.